Jackson fans in L.A. purchase the first tickets to see "This Is It", a documentary about the star. 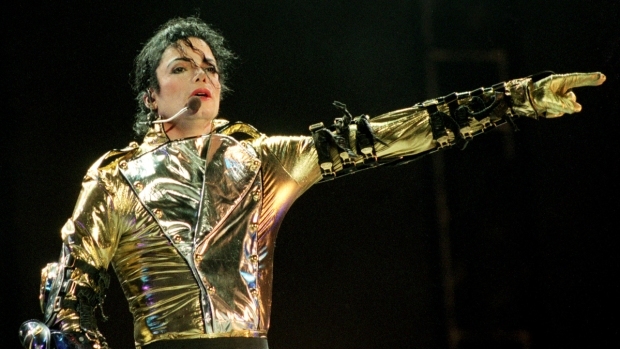 Tickets to see the documentary "This Is It," featuring footage of Michael Jackson's rehersals for his 50-show series in London, go on sale today. "This Is It" presents the best of over 100 hours of footage from Jackson's rehearsals for his show at London's 02 Arena, which was set to start three weeks after the star's death. A sneak preview of the film will be shown simultaneously in 15 cities around the world on October 27, leading to some odd start times--the movie will begin at midnight in New York and at 4 a.m. in London. Tickets can be purchased at any major ticketing website, as well as www.thisisit-movie.com, the film's website. Only a limited number of tickets will be available because the documentary is set to run for just two weeks, starting on the official start date, October 28.